This breathtaking, signed rarity is consigned directly from the Manship family and includes a letter from Paul Manship confirming its purpose as a model for a key element of his Celestial Sphere masterpiece. We are thrilled to be able to offer this breathtaking Paul Manship bronze to our customers on behalf of the Manship family. Its design, full provenance, and place in history truly put it in a profound league of its own. - Bill Gage, Department Head, James D. Julia Inc.
James D. Julia Inc., one of North America’s top 10 antique auctioneers, is honored to present an important Paul Manship (American, 1885-1966) bronze at its upcoming Fine Art, Asian & Antiques Auction sale to be held February 7, 8 & 9, 2018. The truly out of this world discovery is from a model for his monumental “Celestial Sphere” masterpiece. The Celestial Sphere is recognized universally as a symbol of hope and peace and is among the finest works by Manship, unquestionably one of the foremost, highly respected, and influential American artists of the “Art Deco” period. The significance of this new Manship discovery cannot be underestimated. The Celestial Sphere is best known as the memorial created to honor the founding father of the League of Nations, President Woodrow Wilson, at the organization’s headquarters in Geneva, Switzerland. The League of Nations officially became the United Nations in 1945. The 12’ Swiss version, installed in 1939, features 85 separately modeled constellations of the universe featured in both hemispheres - including the Sagittarius zodiac sign on offer through Julia’s sale. A smaller version of the Celestial Sphere, scaled to 5’ with 66 constellations, was produced for the Aero Memorial in Aviator Park in Philadelphia to honor aviators who died in World War I, while a 20” version dated 1934 is on display at Harvard University’s Fogg Museum. The University received it as a bequest in 1943 from Grenville Winthrop who purchased it through Martin Birnbaum in New York in 1935. 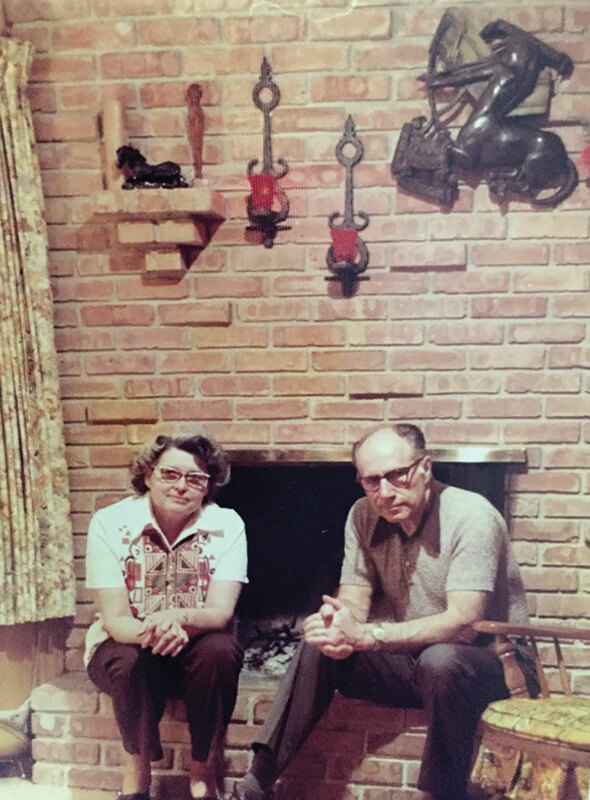 This once-in-a-lifetime offering, until most recently, hung unceremoniously for decades over a fireplace in the Manship family home. This Sagittarius sculpture appears faithfully in snapshots taken at gatherings over the years. The model itself measures 18-1/2” high by 19-1/2” wide. 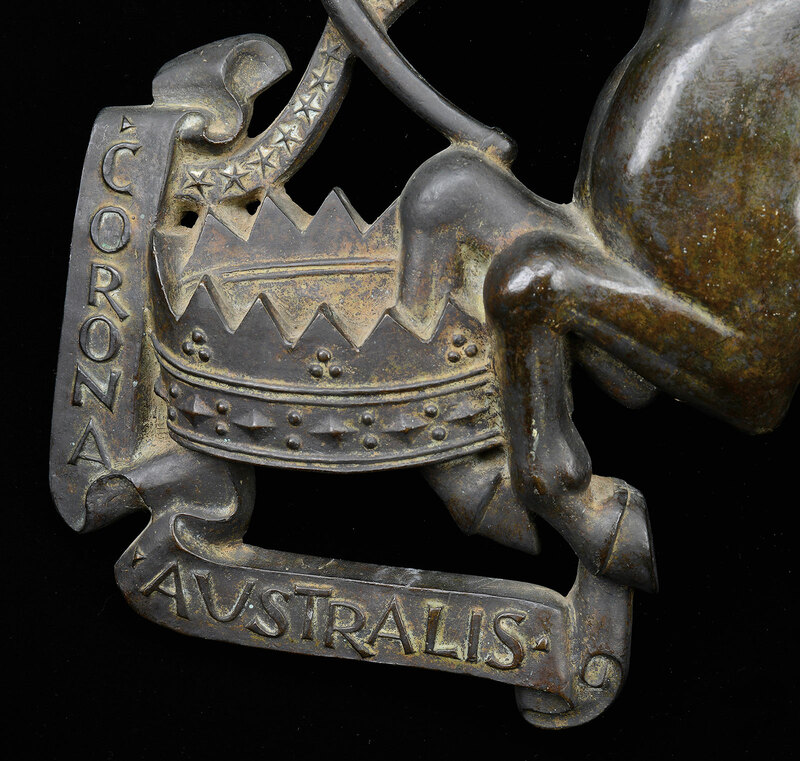 It depicts the half human, half horse archer centaur with his drawn bow and arrow, a series of stars, a crown, and the words “Sagittarius,” “Corona,” and “Australis.” Corona Australis is a constellation in the Southern hemisphere; its name translates to "southern crown." This sculpture is signed both by the artist and by the foundry in the bronze; the words “Manship,” “A. Valsuani,” and “cire perdue” (lost wax casting) are clearly legible on the reverse. This first time ever offered model has been vetted and authenticated as a life-time cast authorized and overseen by Paul Manship by Rebecca Reynolds, a Manship scholar and curator who was formerly with the Museum of Fine Arts, Boston and currently is the board President for the Manship Artists Residency + Studios. Manship, a Capricorn whose birthday was December 24, missed out on being a Sagittarius by three days (Sagittarians are born from November 22 – December 21.) Perhaps he had special affinity for this Sagittarius piece because it radiates curiosity, energy, exploration, optimism, and the eternal quest to know the meaning of life - all things important to him, and the key personality traits of the Sagittarius zodiac sign. 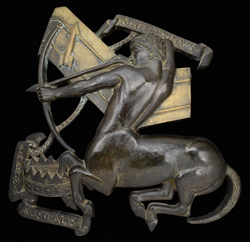 For more information on this Paul Manship Sagittarius bronze relief model and our February 7-9, 2018 Fine Art, Asian & Antiques sale, please visit http://www.JamesDJulia.com. James D. Julia, Inc., one of the top ten antique auction houses in North America as measured by annual sales, is headquartered in Fairfield, Maine. The company also has an office in Boston, Massachusetts. In business for almost 50 years, the company conducts high-end antique, collectible, and fine art auctions throughout the year. James D. Julia has routinely established new world records through its sales events. The company consists of three key divisions, including Rare Firearms; Fine Art, Asian & Antiques; and Rare Lamps, Glass & Fine Jewelry. Each division is regarded for its excellence and is staffed with world-class specialists to guarantee fair and professional authentication, identification, and valuation services. For more information on James D. Julia, Inc., please visit http://www.jamesdjulia.com. James D. Julia, located in Fairfield, ME and Woburn, MA. Detail of “Sagittarius” Bronze by Paul Manship, a relief from a model of his work “Celestial Sphere.” Detail of “Sagittarius” Bronze by Paul Manship, a relief from a model of his work “Celestial Sphere.” Detail of artist and foundry signature on “Sagittarius” Bronze by Paul Manship, a relief from a model of his work “Celestial Sphere.” “Sagittarius” Bronze by Paul Manship as it was displayed until recently in the Manship family home. 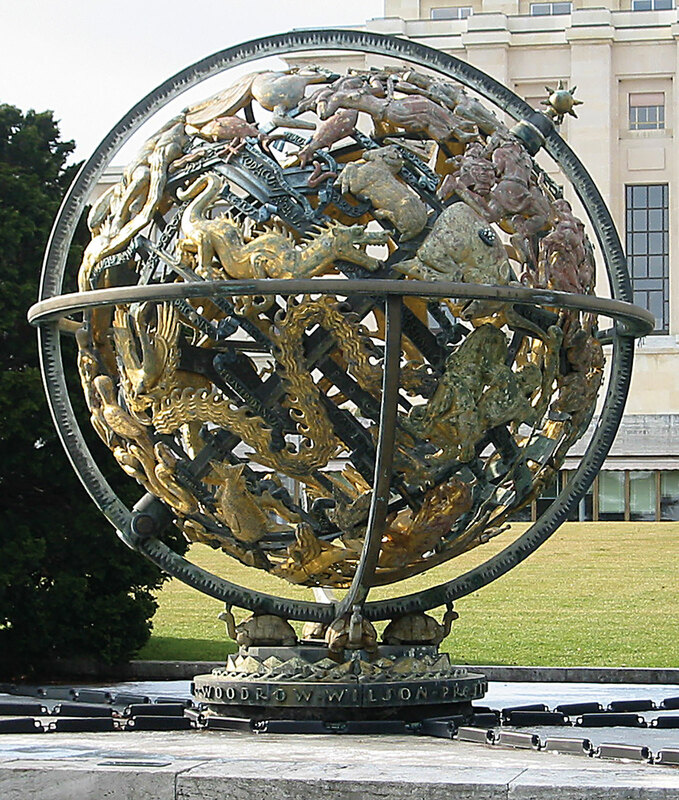 The Celestial Sphere Woodrow Wilson Memorial by Paul Manship in Geneva, Switzerland, photo from Wikimedia Commons. 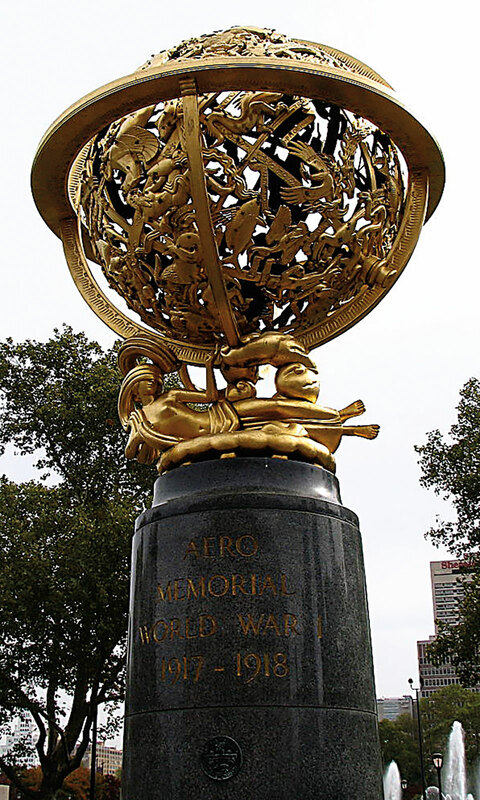 The Celestial Sphere Aero Memorial by Paul Manship in Philadelphia, PA, photo from Wikimedia Commons.